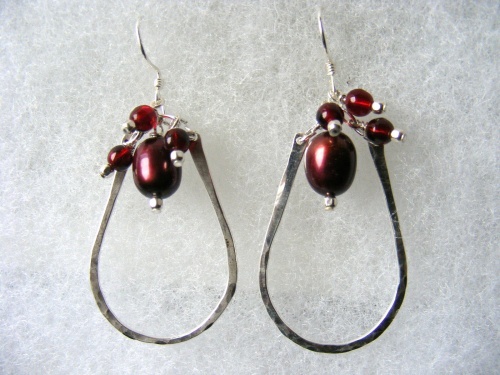 This pretty pair of earrings have loops of hand hammered sterling silver with an adornment of burgundy pearls. Really pretty on and the colors just pop. Earrings measure 2" from top of wire to bottom of earring and not quite 1" wide.